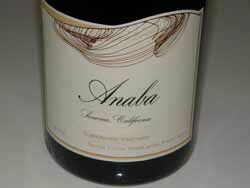 Anaba Wines Anaba!s name comes from the cool anabatic winds that swirl through the winery!s sustainably farmed Carneros estate vineyards. These unique air currents make the vineyards more temperate, slowing down the ripening process. In 2009, Anaba Wines became the first winery in Northern California to use wind power when owner John Sweazey installed a wind turbine on the property to harness the anabatic winds. The turbine generates electricity for Anaba!s tasting room, wine storage, office operations and irrigation pumps for the two estate vineyards. 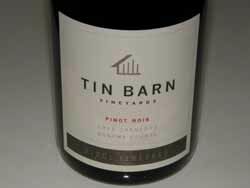 Jennifer Marion, a UC Davis graduate, has been the Director of Winemaking and Vineyard Operations and General Manager since the winery!s first releases in 2009. 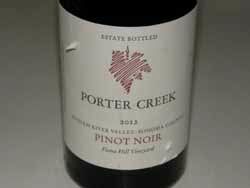 Her 2012 releases are outstanding and the best showing for this winery to date. Check out the excellent Chardonnays as well later in this issue. For more information, visit the website at www.anabawines.com. 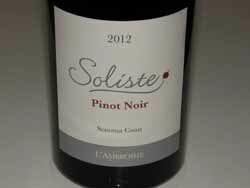 Founder and winemaker David Rossi sources grapes from California!s cool Pinot Noir regions, most notably the Sonoma Coast, Anderson Valley and the Chalone AVA. Beyond this, David seeks out more sheltered, sun-kissed sites that are a bit warmer than their neighbors. He says, “Because they are somewhat warmer sites, we get the flavors we want, but because they are in cool growing regions, the flavors are balanced by the poise and restraint we love.” Regarding the On Point and Fulcrum wines, David says, “As I evaluate each barrel, some will be darker, have more pronounced tannins and more complex structures. 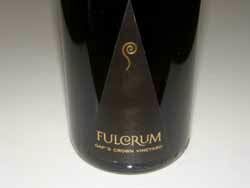 These become Fulcrum wines. 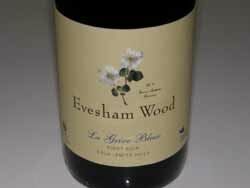 Others will be more vibrant, with softer tannins and the immediately alluring personality that defines On Point.” For more information, visit www.fulcrumwines.com. Owner Glenn Alexander farms and manages over 400 acres of premium vineyards for wineries such as Kosta Browne, Copain, Paul Hobbs and Pahlmeyer. 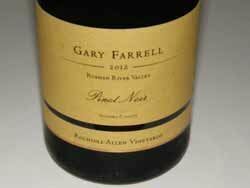 Since 2006, the Alexander family has been producing wines from family farmed vineyards with Glenn as the winemaker. The name, Sanglier, is French for wild boar, a creature prevalent in the vineyards and on the dinner tables of France and Sonoma County. 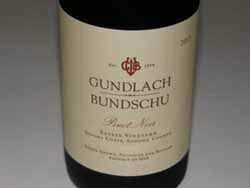 The winery has a tasting room is located in downtown Healdsburg. Visit www.sangliercellars.com. 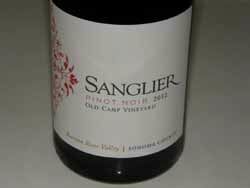 This is my first opportunity to sample Sanglier Cellars Pinot Noir and I was very impressed.